Lights have one cool function: “chasing lights” flash. 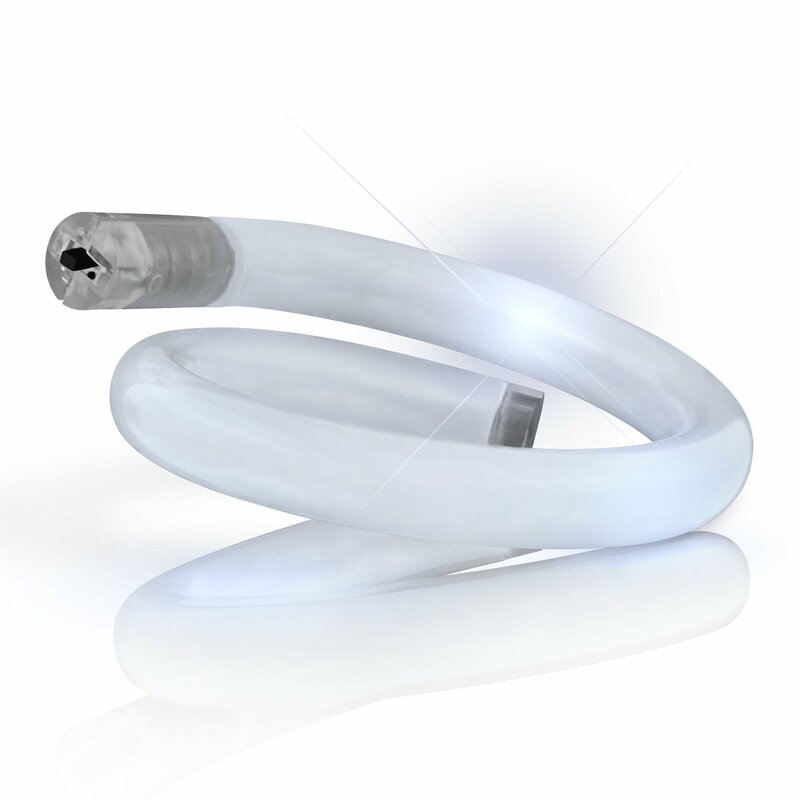 LED Color: White Dimensions: Roughly 3″ to 3.75″ Diameter is adustable, flexible & comfortable – one size fits most. Bracelets include 3 non-replaceable AG3 Batteries.